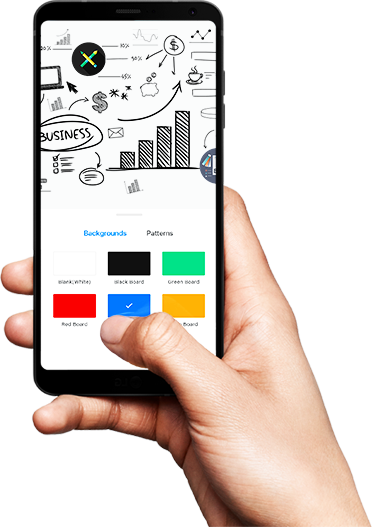 Use the pen tool, change its thickness, pick any color you like and let your creativity flow. 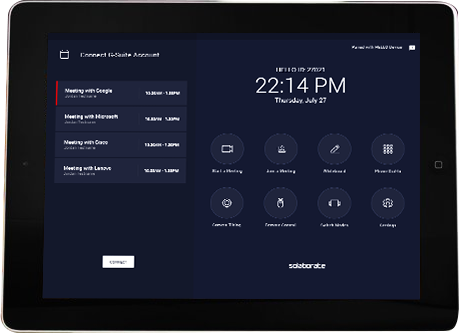 You can write, draw, and erase with any object of your choice on HELLO Touch TV’s interactive display with 10 touch points. 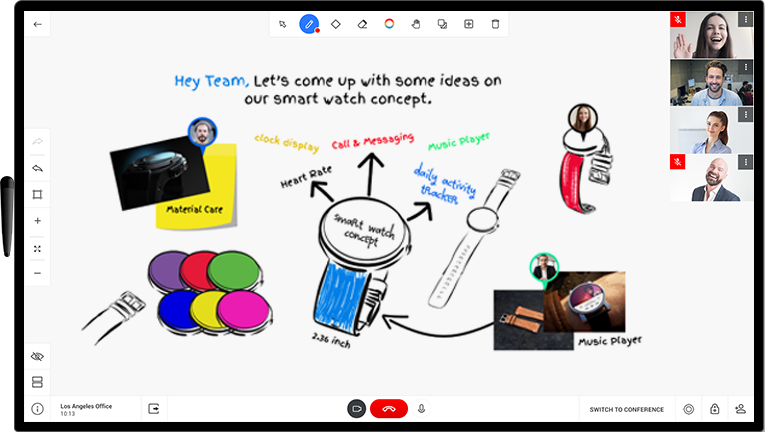 Share your whiteboard link with anyone you want to show what you are drawing or writing in real-time. 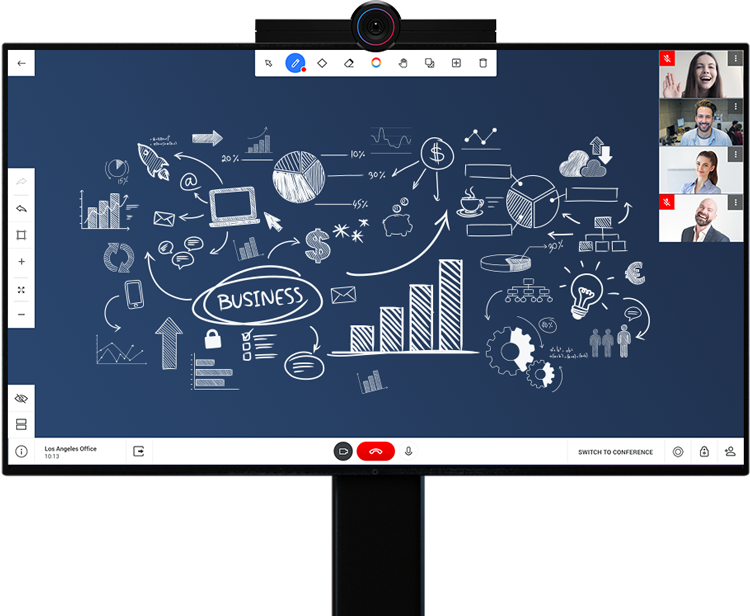 Invite people to join your whiteboard so you can write and draw simultaneously and make changes on the fly. 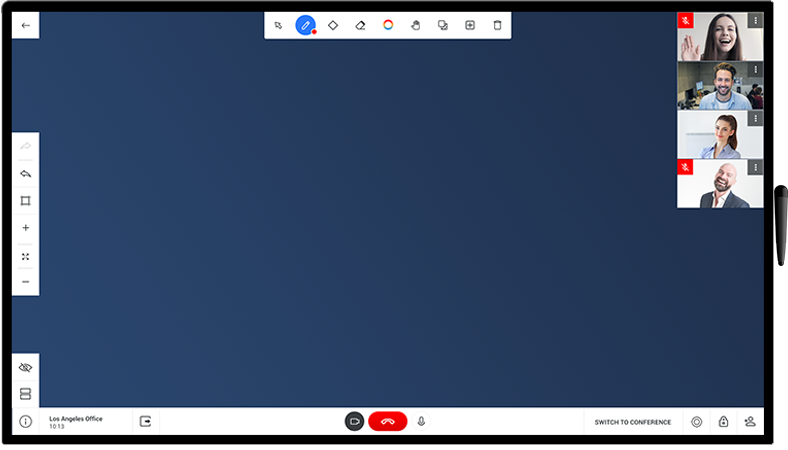 Simply press the “Switch to Conference” button so you can start a video conference and use whiteboarding at the same time. 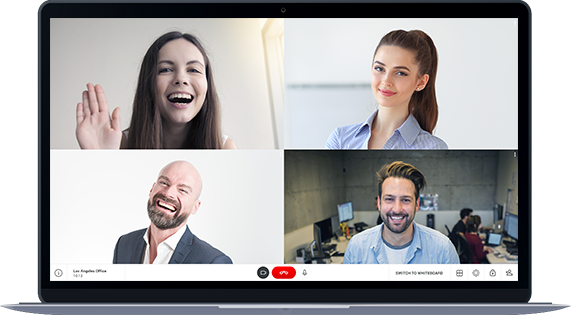 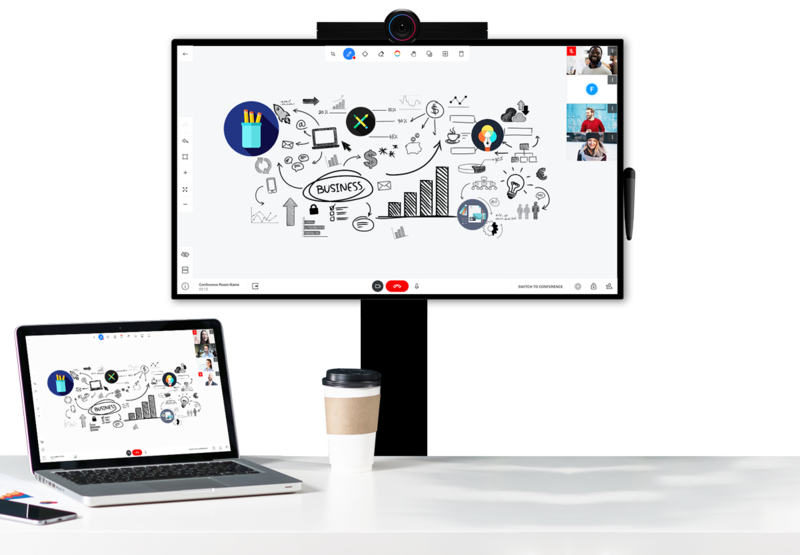 Powered by HELLO 2, the HELLO Touch is the smartest and most affordable 4K Touch TV with 10 touching points for real-time collaboration, digital whiteboarding, video conferencing, wireless sharing, and more! 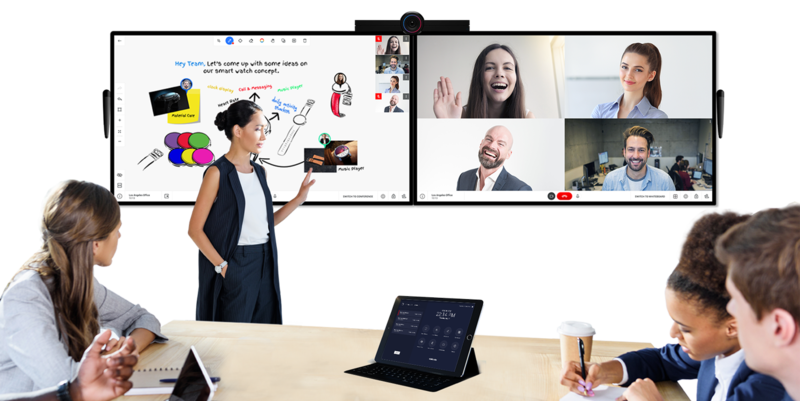 Connect HELLO 2 with two TVs at the same time so you can use two different features on two separate TVs such as Whiteboarding and Video Calling. 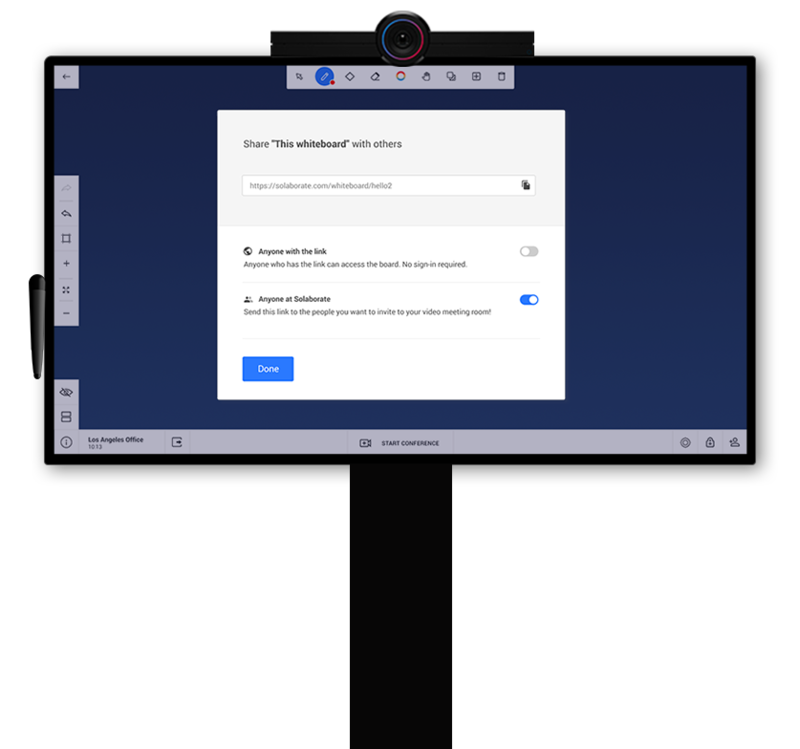 It doesn’t matter which device you are using — you will be able to join the whiteboarding session from a mobile phone, tablet, or laptop. 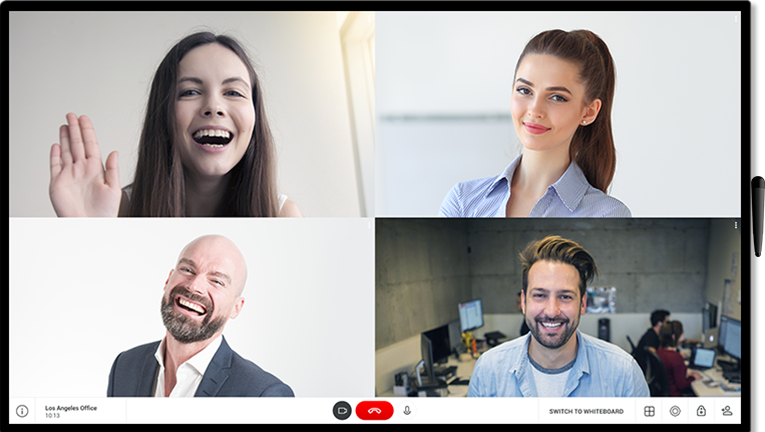 Through our HELLO Room Controller app you’ll be able to start a conference call, invite people, switch to whiteboarding and control the conference call via any android tablet.